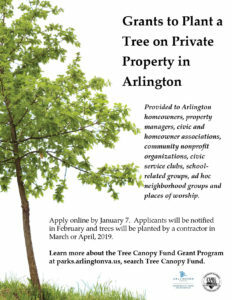 Arlington County thinks trees are so important that through its Tree Canopy Fund it offers grants to plant or maintain trees on private property. 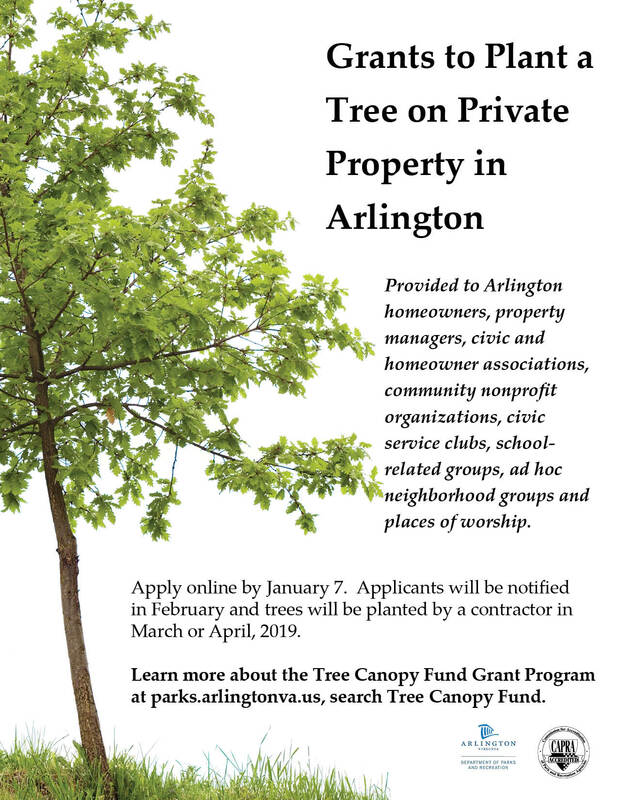 These large canopy trees are generally 2” caliper and 7’ high will be awarded to Arlington homeowners, civic and homeowner associations, property managers, community nonprofit organizations, civic service clubs, school-related groups, ad hoc neighborhood groups and places of worship. Apply online by Jan. 7. Applicants will be notified in February and trees will be planted by a contractor in March or April, 2019.